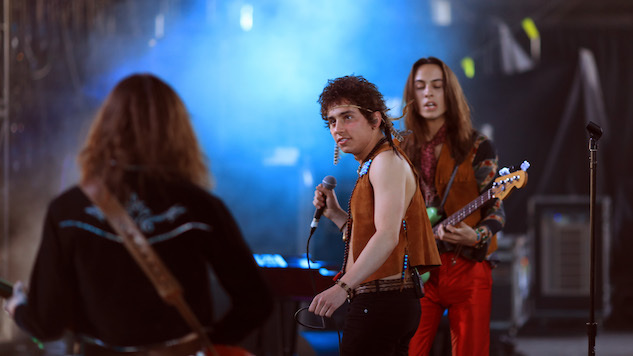 When young Michigan rockers Greta Van Fleet came tearing out of Frankenmuth in 2012, the band’s rise to superstardom was so abrupt that it’s almost hard to fathom. From selling out shows across the nation to releasing their first double EP From the Fires in November of 2017, the first few years of GVF’s career have been a whirlwind of success—and they managed to do all of this while honing in on their unapologetically Led Zeppelin-esque sound and avoiding the legendary rockers’ scandal. The band made their Apple Music debut in April 2017 as the “New Artist of the Week” and have been a mainstay across the platform’s rock playlists since. Now, Apple Music is extending the relationship and has invited GVF to be the first rockers featured in its “Up Next” program, as announced by Billboard on Wednesday. The program is designed to push developing artists to new audiences using various media such as a documentary, a live EP, a live performance on Beats 1 and an appearance on The Late Late Show with James Corden. It’s expected to feature a different artist each month, and GVF are perfectly positioned to kick it off in September. The pairing is set to begin on Sept. 5, with the release of the first exclusive documentary featuring the band. It has been advertised to include a stripped-down version of “When the Curtains Fall,” GVF’s latest single, released in July, as well as a look into the band’s backstory and musical influences. You can check out the trailer for the first “Up Next” short film below. For more GVF content, find out what happened when we went record shopping with the band here.